Monday....Monday! 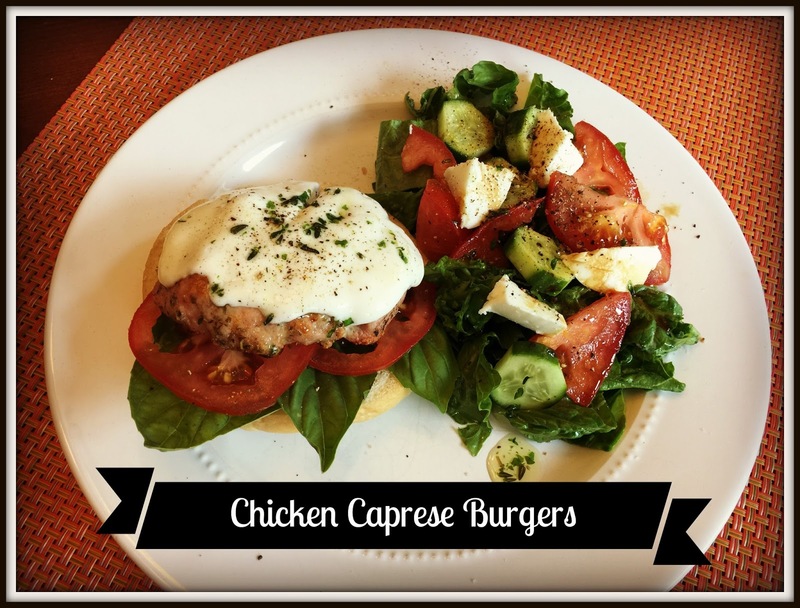 A new week and five meal ideas for your family table. 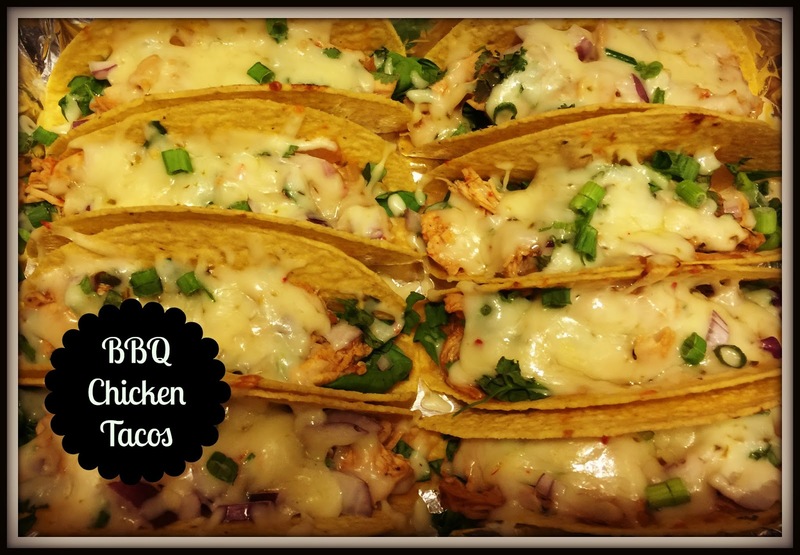 A fun, fresh new shrimp dish, amazing BBQ tacos and a favorite burger are just three of the meal ideas we have for you today. 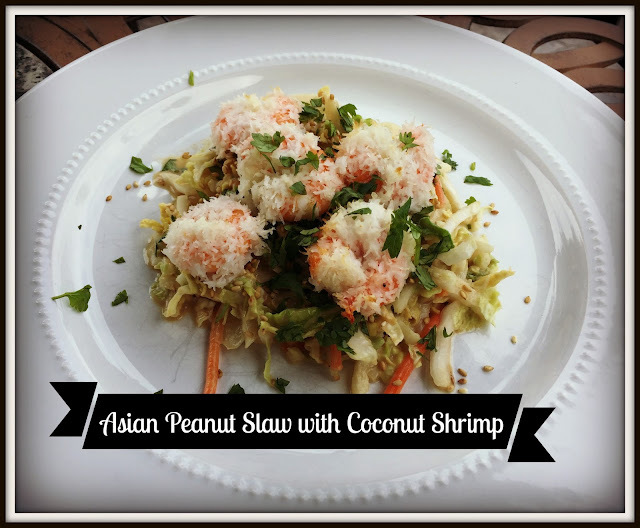 We made this Asian Peanut Slaw with Coconut Shrimp this weekend and it was so, so good! With such fresh flavors it's perfect on a warm Summer night! You can grab the recipe here. Baked BBQ Chicken Tacos are loaded with flavor and will be a new Taco Tuesday Favorite for sure! Even better is the chicken cooks all day in the crockpot! I always thought the crockpot was reservied for cold weather meals, but it's a great way to get dinner on the table on those busy Summer days too! Place 1lb of boneless chicken in the crockpot, along with 2 cups of chicken stock. Cook on low for 6-8 hours. Remove the chicken, shred it and toss with 1/2 cup of your favorite BBQ sauce. I fill the shells with fresh spinach, red onion, the chicken and some pepper jack cheese. Bake at 400 for about 5 minutes, until the cheese is melted. We made these Chicken Caprese Burgers earlier in the Summer and they quickly became a favorite. Fresh and full of two of my favorite Summer flavors...... basil & tomato. I made my burgers with 1 1/4 pound of ground chicken mixed with 1 TSP of Italian Seasoning (salt free), 1 TSP of salt and 1/2 TSP of black pepper. I grilled them and topped with a slice of fresh mozzarella at the end. Layer the bun with fresh basil leaves, tomatoes and top with the burger. I drizzled it with some herb infused EVOO, but it would also be great with your favorite pesto too. Steak with peppers & mushrooms. We don't eat steak a lot, but it's nice to have every once in while. I keep the seasoning simple.. EVOO, salt & pepper. 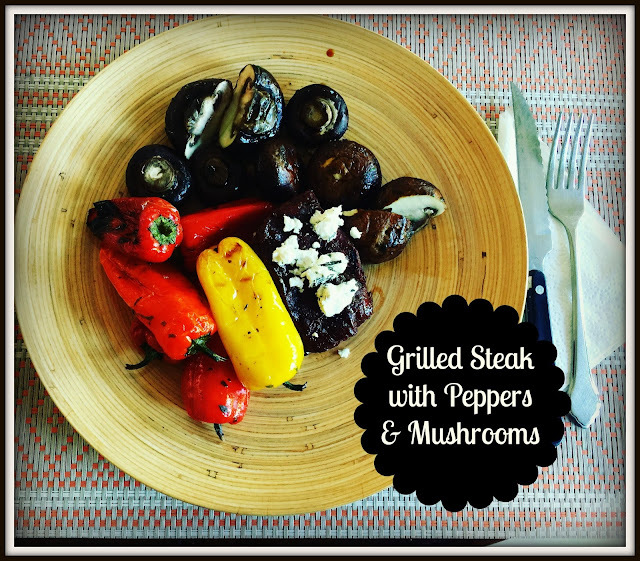 Sprinkle that on your steaks and then layer some baby bell peppers and mushrooms in a grill basket and sprinkle them too. Put everything on the grill and let the grill do it's thing! Toss the veggies every now and then to be sure they don't burn. I load up my veggies and top the steak with some goat cheese. The kids like to slice up the meat and the veggies and toss over some brown rice to make a "steak bowl". Keeping it simple and ending the week with a grilled pizza and salad bar! Grab some whole wheat or whole grain naan or flatbreads for your crust. Lay out lots of topping options and grill over low heat for 5-6 minutes, until the cheese begins to melt. While the pizzas are cooking, build your salads. Be sure to put out veggies in lots of great colors! Build your own dinner is a favorite in our house! See you tomorrow for Show & Tell Tuesday.